Caroline Peddle Ball (1869-1938) was a childhood friend of sculptress Janet Scudder and went on to study with Augustus Saint Gaudens in NY. She also did work for Tiffany while she was in NYC in the 1890s. She studied in Europe from 1895 to 1900 and while in Paris she sculpted the figure Victory for the 1900 Paris Exposition for which she won an Honorable Mention. She returned to the US in 1902 and maintained a working studio until her death. She specialized in small bronzes and bas relief plaques of children but she also did some larger public sculptures. She exhibited at the Art Institute of Chicago,the National Academy of Design, the Boston Art Club, among others. This fine small bronze of a young Girl holding a Book is one of several sculptures of children done by Caroline Ball in the early 1900s. 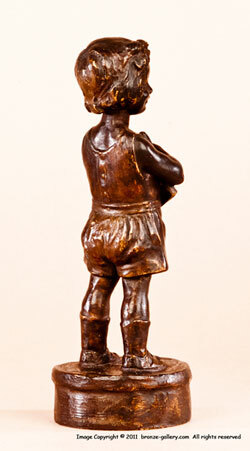 Many of her small bronzes are in the collection of the Swope Art Museum in Terre Haute IN where she was born. A charming little piece, the Girl is holding her Book closely like it is her treasure. She has a ribbon in her hair and has a big smile on her face. 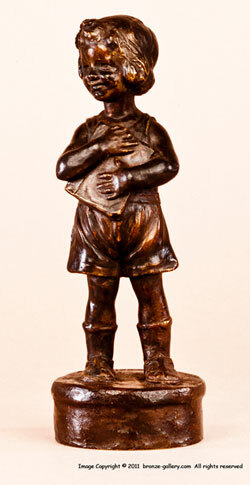 This bronze was cast by the famous Gorham Foundry and has their stamp and QDZ on the base. 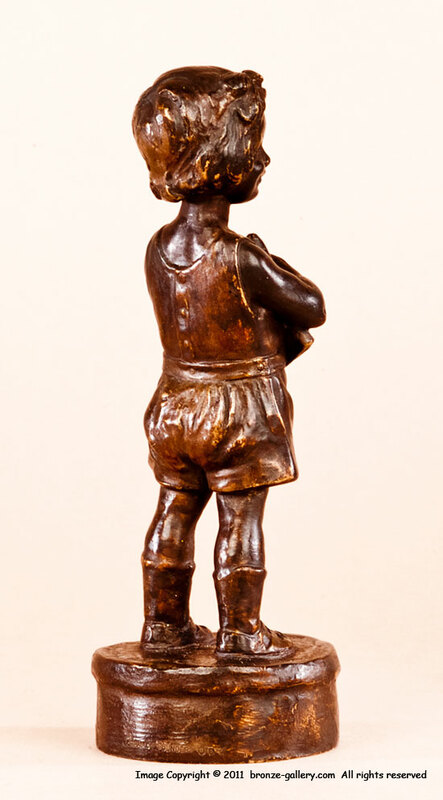 This bronze would be enjoyed by anyone young at heart.